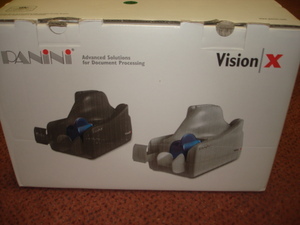 Fast Panini Vison X Model VX100 Check scanner. Very fast 100document per minute speed, unlimited feeder. Unit are completely refurbished and will come with a full 90 day repair or exchange warranty. Feel free to call us for repair or exchange on this and other banking product. E-mail a friend about this item.